Earn cash paid by PayPal, or Tango cards, for participating in surveys. Evaluate new products from home too! The latest addition to our legitimate surveys directory is American Consumer Opinion. Run by Decision Analyst Inc., ACOP has been around since 1997 – which makes it one of the oldest running online survey panels! With millions of members in over 150 countries, they’ve been around for a while and aren’t new to the game. You can redeem your points for your choice of PayPal payments or Tango Cards. Tango gift cards are essentially a single gift card that allows recipients to choose and then stagger the proceeds of a gift card across various retailers or charities. Retailers include major players such as Starbucks, iTunes, Amazon, Nike, and more. No confusing point systems. Although ACOP does award points, the math is easy: every point is worth 1 penny. Survey screeners pay out between 10-50 points, so you will at least receive some form of compensation for your time (between 10 to 50 cents). Regular surveys award between 100 and 5,000 points for very long surveys. 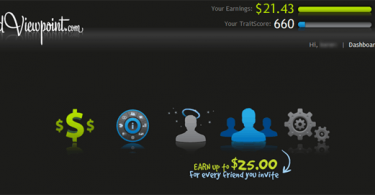 This means that most surveys will pay at least $1, and very long surveys will pay up to $50!